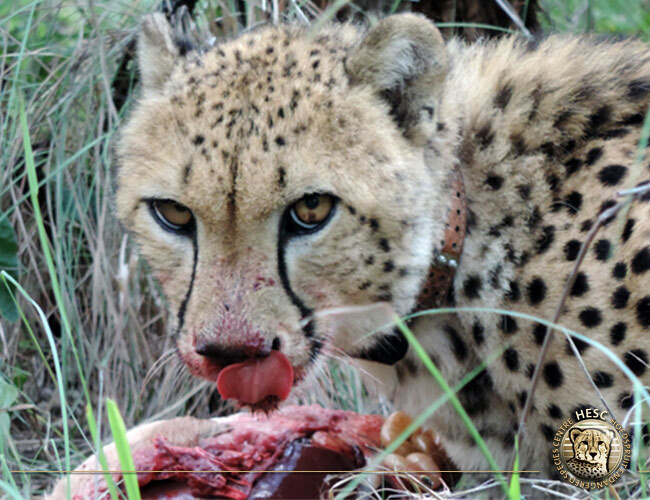 The female that was released on Makutsi is doing very well. She was named Aschanti. 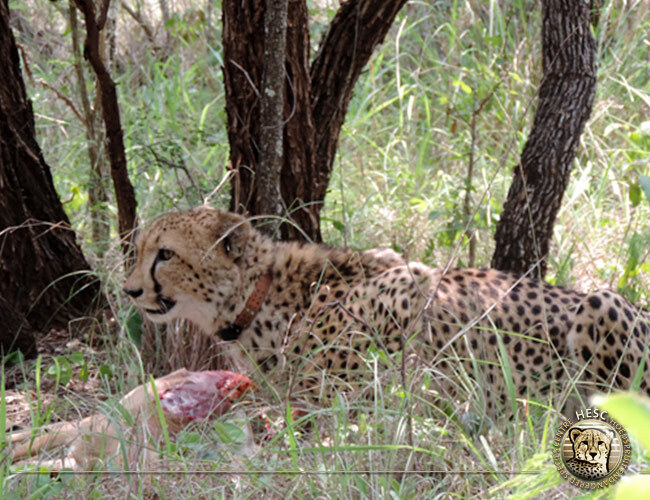 She was kept in the boma until mid December, and on the first attempted release, the male had been sitting close by outside the boma, and when the bome gate was opened he rushed in and gave her a bit of a rough welcome. In the process she injured her front leg, and rather than release her and not being sure how serious it was, the boma was closed again and a vet was called. They checked her thoroughly and found that she only had some wounds, nothing broken. She was left in the boma to recover, and released at the end of December. 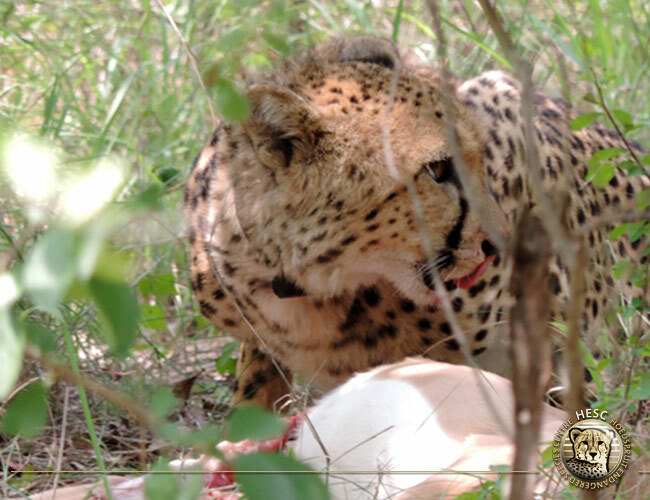 Since her release, she has been moving around the reserve a lot, and after a few weeks started spending most of her time in the western half of the reserve. 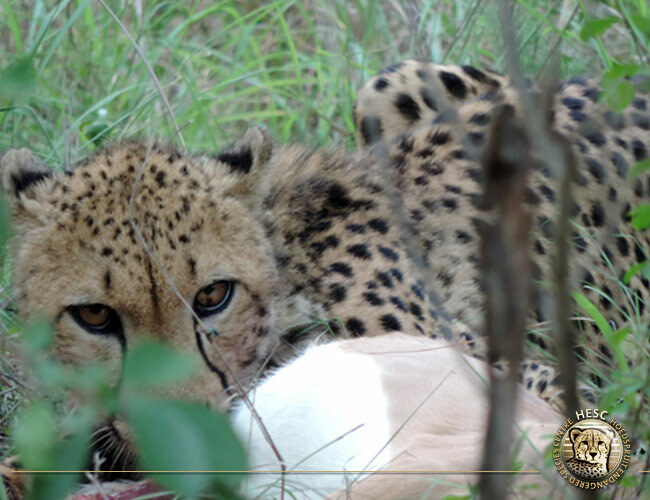 She became very relaxed very quickly and game drives and walks have been enjoying semi-frequent sightings of her. She was spotted by Karl after a hunt. She successfully caught an impala. Since her release, we have not needed to supplement her feeding even once.